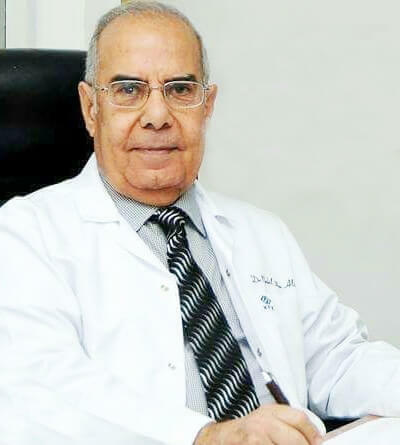 Dr. Nabil Abu Ali is a professor – Respiratory Consultant. He holds M.D Chest, MB BCH Faculty Of Medicine Cairo University, Egypt. Graduated from faculty of Medicine at Cairo University. New Intern in Faculty of Medicine at Cairo University. Register in Chest Disease in Faculty of Medicine at Cairo University. Clinical Demonstrator in Faculty of Medicine at Cairo University. Lecture in Faculty of Medicine at Cairo University. Assistant Professor in Faculty of Medicine at Cairo University. Professor and head of Chest Unit in Faculty of Medicine at Cairo University. Senior Consultant Chest Physician and head of Chest Department in Al Jazira Hospital, Abu Dhabi. Chairman of Medical Department, Al Jazira Hospital Abu Dhabi. Chest Consultant Physician, special Contract, Armed Forces Abu Dhabi – Zayed military Hospital. Chest consultant and Manager at my own Chest Clinic, in addition to supervising Chest Department and ICU Respiratory cases at Dr. Osman Hospital- Maadi, Cairo. CEO and chest consultant physician at Emirates French Hospital.